Cebu Is a Beauty | A Cebuana Lifestyle Blog: He is the ONE! Ahhh Yes! Georges St-Pierre is the ONE for me! Sorry boys but my heart is set. It's not about his looks or appeal not even the fact that his a champion that won me over. It's because he is MAN enough for me. Illusionada!! But I've set my standard and I'm just waiting for that guy who tops it.. 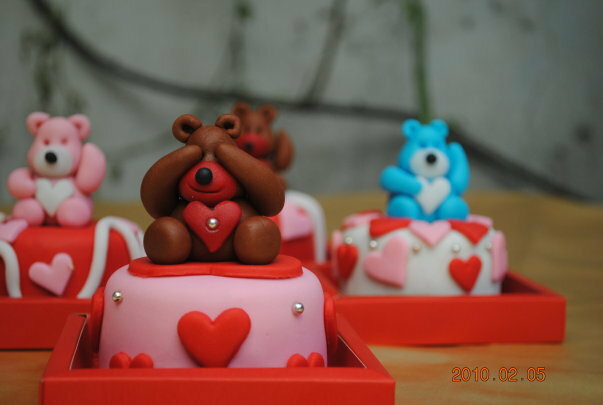 These cute bears are great Valentine's gift ideas for your special someone. I ordered mine for P150 from my classmate in law school Krista Cristoria.